The event is funded by a GBIF - FinBIF data mobilization grant for European Russia and through Multidisciplinary EDUcation and reSearch in mArine biology in Norway and Russia (MEDUSA) project funded by the Norwegian Centre for International Cooperation in Education (SIU). No course fee. Travel (train, up to Compartment carriages, K class) and accommodation (max. 70 euro/night, 3 nights from 14/15 till 16/17 May) support is available for limited number of participants who are based in European part of Russia. Train tickets and hotels should be booked and paid by the confirmed participants. Expenses will be reimbursed after the course; participants eligible for reimbursement should keep tickets and hotel receipts. Meals at own cost, except coffee breaks. Interest to digitisation (databasing) of natural history collections. An IPT account of your organisation should be in place by 1 May 2018, for those not having an account yet, instructions will be provided to the selected participants. General digitisation and data publishing principles will be taught. Everyone attempting collection digitisation is welcome, but priority will be given to applicants with immediate plans to digitize wet collections and to publish data through GBIF. Participants needs to bring own laptops. Three-days on-site course in Moscow with reading task before and data publishing task after. An intensive on-site training will be comprised of i) general introduction to the world of global biodiversity data and GBIF, ii) starting and managing digitisation projects at the collection or institutional scale, general principles of digitisation and practical advice, and iii) data publishing through GBIF. The latter part of the course in particular aims at the beginners who would like to learn publishing biodiversity data through GBIF, but do not know how it is done. This part will enhance the capacity of experts trained for biodiversity data digitization and to expose data in the global pool. The datasets are published as digital authored academic products with DOIs from the organisational accounts and in-built data citation mechanism. 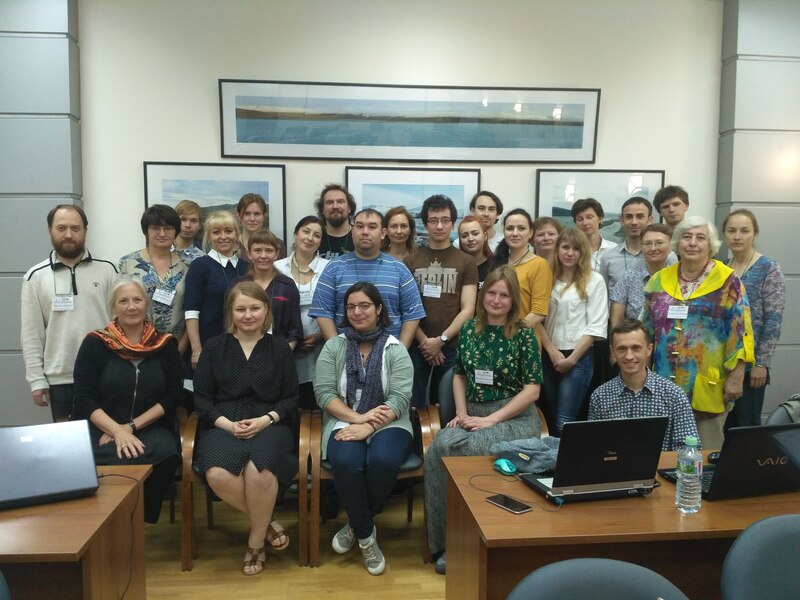 Participants will be introduced to GBIF supported data standards and support available in Russia. The course will have a strong focus on the technical aspects of data mobilization through GBIF.org. The event will have a strong practical approach and will include the study key concepts of biodiversity informatics, introduction to the Darwin Core Standard, data standardisation, data publishing utilizing GBIF’s Integrated Publishing Toolkit (IPT). As a result, attendees of the course would be able to comfortably navigate through global biodiversity data, set a local digitisation project, manage an IPT account, and to prepare datasets for online publication. You need to read through those resources at least once before your come to the course. We recommend that you start at least two weeks before the course: read once, let it rest, read again, this time making notes and writing down your questions. You will be able to clarify those during the course. We will not check your homework, but the efficiency of your time during the workshop improves significantly if you come prepared (even if slightly confused). Mapping data: hands on practice in data standardization. IPT training. Your organisation’s account. Test publishing I. 18:00 End of course, goodbyes. Note that there is no accommodation arranged after the night 16/17 May, and participants willing to extend their stay in Moscow need to take care of that independently.